The Elise and Walter A. Haas International Award honors an alumnus/a who is a native, citizen, and resident of another country and who has a distinguished record of service to that country in the arts, science and engineering, education, business, environmental protection, government, or any other field. The award includes a cash prize of US $20,000, an engraved medallion, and travel expenses to attend the Volunteer and Haas International Award Ceremony on October 18, 2019, where it is presented. The Haas International Award was established in 1964 by Mr. and Mrs. Walter A. Haas, Jr., Mr. and Mrs. Peter E. Haas, and Mr. and Mrs. Richard N. Goldman. 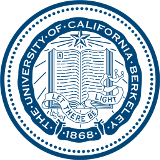 Created to mark the 50th wedding anniversary of Walter, longtime head of Levi Strauss, and his wife, arts patron Elise, the award acknowledges their devotion to UC Berkeley and interest in international affairs. Its presentation at commencement echoes both the global character of Berkeley’s faculty, students, and curricula and the university’s long-standing commitment to improving the human condition around the world. A nominating letter with your nominee’s address, email/phone, class year, and country, as well as your address, email/phone. Specific examples of your nominee’s goals, contributions to his or her country, voluntary services, and other honors received. Up to five supporting documents (maximum of 15 pages), such as letters of recommendation, a curriculum vitae, or news articles.